You are here: Home / Home School Advocacy and News / Legislative / Texas Homeschooling Community: Do We Still Believe That Families Know Best? 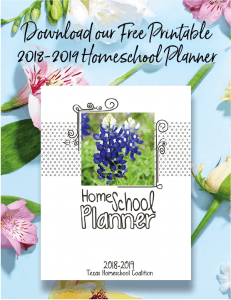 Texas Homeschooling Community: Do We Still Believe That Families Know Best? Over the last 30 years, homeschooling has challenged the academic, social and political status quo in every conceivable way. We were the pioneers of change against a system that was hostile to anything new, anything different. We fought tirelessly against the state, the schools and crippling social pressure that was brought to bear against us. We were prosecuted, persecuted, and even incarcerated because others felt they were better equipped to raise our children. We disagreed. Our stand against the status quo was relentless. We did this because we believed that families had the God given right and the high responsibility to raise and educate their own children. We believed that individual families were the best equipped to make decisions about what their own children needed, what things were good for them and what things were not, how to raise them and what they should learn…This was the foundation of it all. We believed that families knew best. But do we still? Have we, the homeschool community, strayed from the fundamental origin of the homeschooling movement: the belief that individual families have the right and the responsibility to raise and educate their own children? Or do we still believe that parents, not the government, not doctors, not other parents have the right to make decisions for their own children? This question poses itself on one particular issue which has been a growing topic of discussion in recent legislative sessions. Should homeschool families have the freedom to participate in extracurricular activities through the local school? Thirty-five other states currently allow this. Each family decides for themselves whether it is right for their family and, if so, they participate. For many, this is a determining factor in whether they can homeschool at all. So if we believe in individual freedom, why do some homeschoolers oppose allowing families the freedom to decide for themselves on this issue? 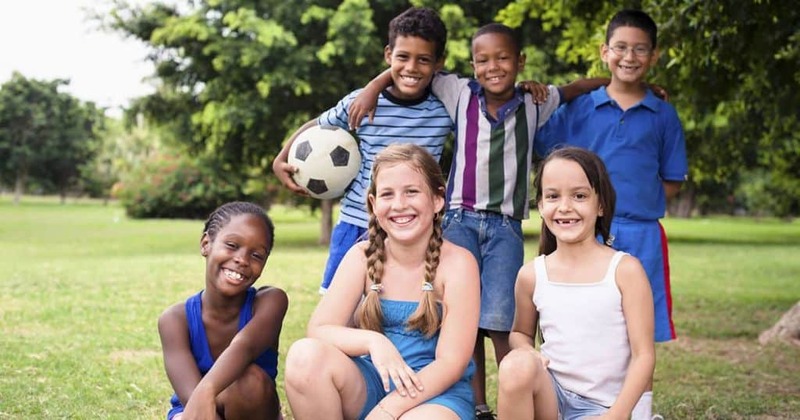 The question becomes even more difficult when you consider that we are not talking about a simple disagreement on the best way to raise children. We are literally talking about whether the power of the state should be mobilized to physically prevent families from making their own decision. The 35 other states that have allowed homeschool participation in extracurricular activities through the local schools have never seen a regulation increase as a result. This includes both high-regulation states and low-regulation states like Texas. Some of these states have actually seen regulation decreases after passing such measures. So is it reasonable to fear homeschool regulation if families are allowed this freedom? No. There is no evidence to support this. The Texas homeschool community has a legacy of courageously standing for freedom for families and it is time to do that again. Considering that a separate argument, we still come down to the main question: do we still believe that families know best and should be able to make their own decisions? Sometimes I wonder if we would put our son in University Interscholastic League (UIL) activities if we had that option. Frankly, we might not. However, I still have to ask whether other families should be allowed to make their own choice about it, or should the rest of us make it for them? Should the power of the state be mobilized to compel them to make the choice we would have made? The homeschool community has always believed in empowering families to make their own decisions. I think we still believe that. No matter how well-intentioned they are, homeschoolers should not be telling other homeschoolers how to raise their kids. Each family must be empowered to raise their own children how they believe is best. This principle is what the homeschooling movement was built on and it is the only thing that will keep it alive. The thing that makes our community great is that we embrace our differences, have good discussions, and in the end allow each family to decide for themselves. Polling shows that 77 percent of Texas homeschoolers support UIL access and that only 16 percent oppose it. Disagreements are okay, but each family must retain the right to make their own decisions. This is what homeschoolers believed 30 years ago when we fought to make homeschooling legal in Texas. This is what we still believe today. Give it up – the state lawmakers are on to you. They now understand that this bill does NOT have widespread support in the homeschool community; and there is in fact a HUGE portion of us who will fight it tooth & nail. Homeschooling needs to have ZERO ties to public schools. NONE. Thanks so much for your comment, Chris! That is not entirely accurate actually. Based on a poll from 2017, we have seen that about 77% of Texas homeschoolers support the Tim Tebow Bill. Only about 16% of Texas homeschoolers oppose it. These stats show that a vast majority of Texas homeschoolers do support this legislation, and the testimonies from the 35 other states that allow homeschool participation speak for themselves at the success that has come about from similar laws. The bill creates a new option for homeschool families, so families who want no ties to public schools do not have to participate. Let me know if you have any questions! I suspect you are polling THSC members, not all homeschoolers. Those who disagree with you on this issue left your organization long ago. Meaning your poll numbers are as off as MSNBC on election nights. Will testing be needed to participate? Thanks for your question Melody! Testing is required for all students to be able to begin participating with UIL. During the first six weeks of a school year, students gain eligibility by submitting a passing score (average or above) on any nationally normed standardized assessment test of the family’s choice (such as the Iowa Test of Basic Skills, the Stanford Achievement Test, the California Achievement Test, or the Comprehensive Test of Basic Skills). These scores can be submitted from a third party rather than be taken at the school and are submitted once every two school years. After the first six weeks of the school year, the child’s parent will periodically (in accordance with the school’s grading calendar) provide written verification that the child is passing all of their classes. After the first six weeks have elapsed, this new verification takes the place of the test. As Texas is so big…why the need to participate in a state/federal sponsored program? Yes, our taxes pay for such programs, but I do not feel the need to push my child towards these functions based on their requirements. I rather Texas Homeschoolers form an organization that competes with these entities and go nationwide. If we can form these types of organizations, we could show that we can flourish without the rules and regulations of a state sponsored program. What makes you think that “public” UIL type programs won’t steer something against the homeschooling community? Maybe not today….but this could happen down the road. Hi Terry! Thanks so much for your questions and comments! Fortunately, the UIL Equal Access Bill (the Tim Tebow Bill) opens the doors to more options for homeschoolers if they chose to participate. If the bill passed, it would not force all homeschoolers to participate, but instead would allow each individual family to make the choice about whether or not to participate on their own; the bill does not affect those who choose not to participate. Also fortunately there cannot be increased regulation on homeschooling as a result of this bill since the bill prohibits the government and the school district from regulating homeschooling. If the government were to try to regulate home schooling down the road, they would have to pass a completely separate bill. In this event THSC and Texas homeschoolers would stand up against this bill and would urge the legislators to kill any bills that would regulate homeschooling.